Between more bad weather, work, and plain ol’ procrastination, the loaded trailer sat in my yard for over a month. 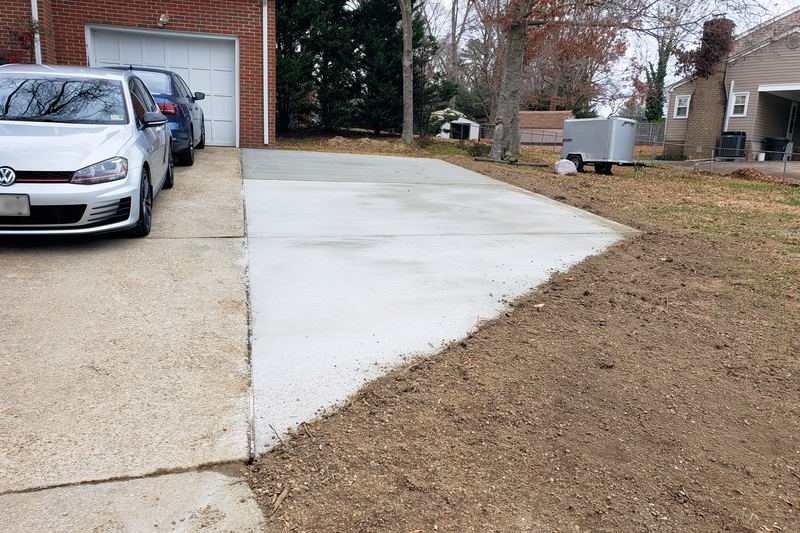 Before I knew it, I made a swift decision to expand my driveway and put a huge slab beside my garage. This project was to be done by pros using ready-mix, so the Sakrete would stay put. However, the 2000-lb loaded trailer was in the way of my new project and had to be moved. The ground was dry enough to move the trailer… or so I thought. 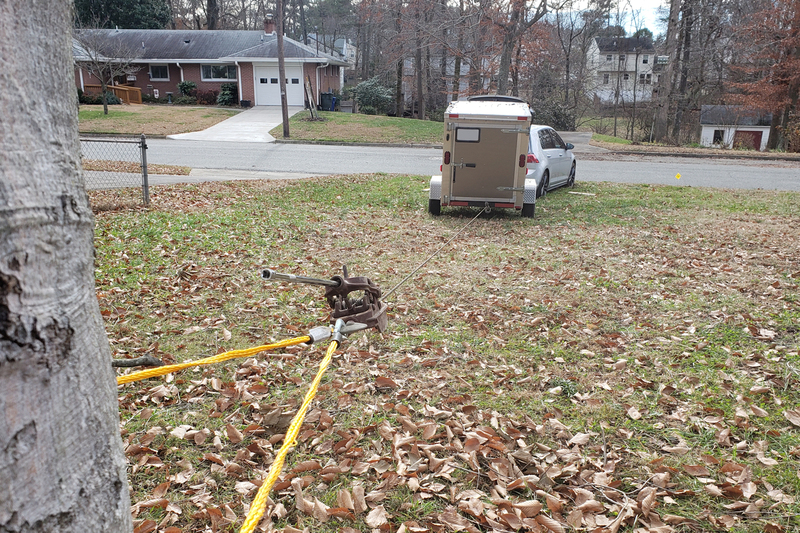 I coupled the trailer to my GTI and had a plan to move it to another part of the yard that’s farther from the house. 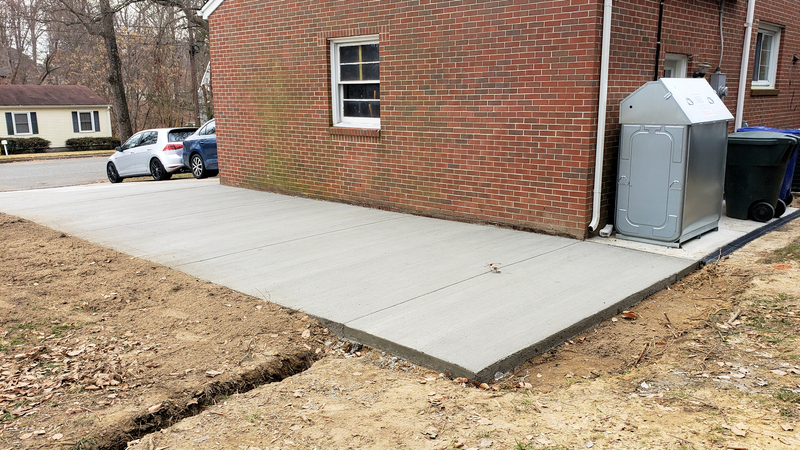 I pulled forward about thirty feet without a problem, but I swiftly dug-in the front end with minimal fanfare when I attempted to back the trailer to its new temporary parking spot. I hadn’t considered that the ground near the street was much softer than where the trailer had sat. Rain water there stays soaked into the ground longer. Plus, moles keep the soil well-aerated. My car simply had no chance of moving a heavy trailer in that soft stuff once I stopped to put it in reverse. 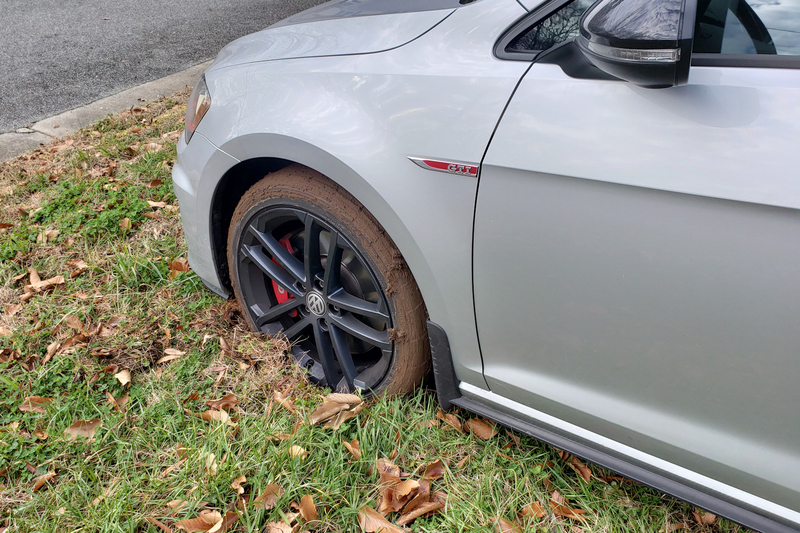 Even worse, I had stopped the car too close to the rather tall curb, which meant that I couldn’t simply uncouple the trailer and pull forward. My self-rescue plan became quite complicated, especially since the front of the car was too low to insert a jack beneath it. I used the widow-maker jack to lift at the rear (photo above), which gave me enough room to get a floor jack under the front. From there, I lifted the front of the car and put pavers under the front wheels to offer support and traction. I needed to move the trailer out of the way before I could move the car. I have a More Power Puller come-along, which features 20 feet of cable, 4000 lbs of lift, and 8000 lbs of pull. It could have pulled the combined weight of the trailer and the car, even through the mud. But I didn’t want to risk damaging the trailer’s rear cross-member by applying forces it wasn’t designed to withstand. Instead, I decided to uncouple the trailer and pull it alone back to the trees. I had to pull it away from the car with its tongue jack dragging through the mud. 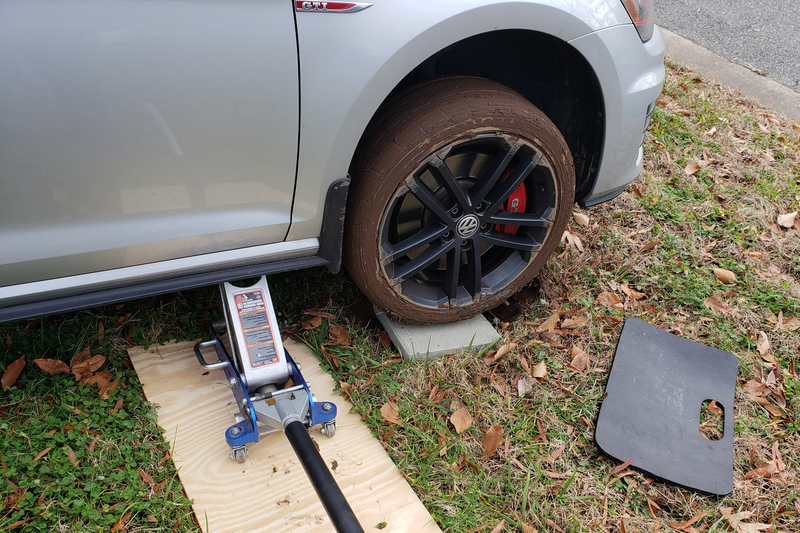 Once clear of the car, I was able to connect a trailer dolly and have my wife steer with the tongue jack lifted as I continued to winch the trailer. Despite “steering” from the front, the only direction it would roll smoothly was toward the tree I was using as an anchor. 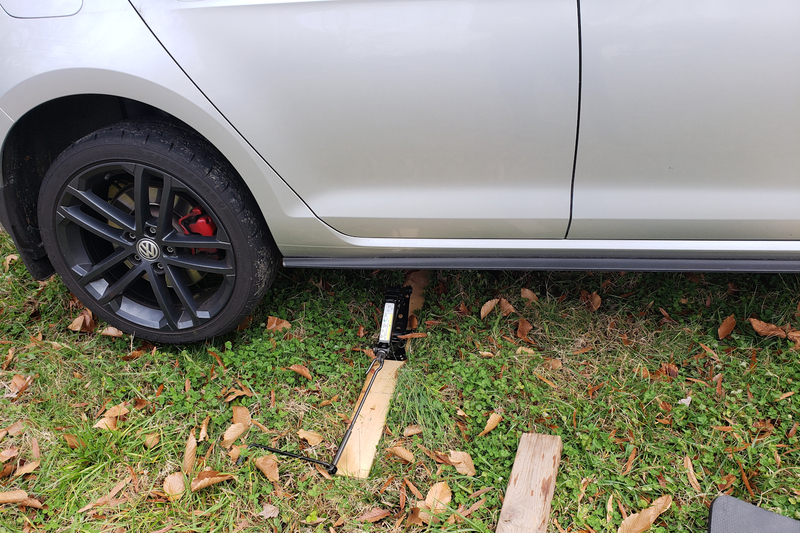 I was able to move the trailer to the tree, but having it there prevented me from using the same technique to extract the car. See a photo of the trailer dolly in the album below. With the trailer clear, I had plenty of room to back the car to firm ground. I figured I needed to move swiftly enough to avoid resinking the car, but slowly enough to avoid sending the pavers into my bumper skin. I’m not sure if I over thought that maneuver because the car drove out without a problem. This photo shows that the car continued to sink after the pavers were in place. Can you see what else the photo shows? It’s clear that the VAQ differential works in low traction situations because both wheels dug-in. 🙂 With the car free and back on pavement, it was time to wash the messy wheels and wheel wells. The trailer’s new temporary home near the tree was a perfect place during the driveway project. 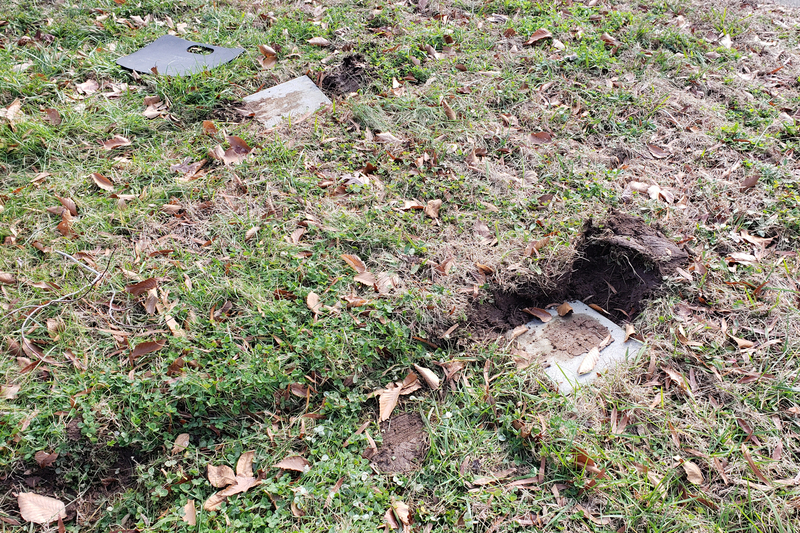 But I didn’t dare to take the car down there to retrieve it because the regraded soil around the new pavement is sloped, damp, and unpacked. I didn’t want to risk getting stuck all over again. I hand-transferred the Sakrete bags to my utility trailer and returned them to Lowe’s for a refund. Moving the empty cargo trailer to the slab using my trailer dolly was relatively easy, though it was still much more difficult than moving it on pavement. Now that I have the huge new driveway, I hope I never have to put the trailers in the grass again.